While it isn’t uncommon in the modern era for leaks to occur in football, as of recent, they certainly have been more and more frequent. Entire transfer deals, scouting activity, backroom drama, and many other facets are routinely shown the light of the day even before official conduits can break the news. At the same time, it is important to note that the great game also involves mind games, and the source and timing of such leaks can often play into a bigger plan. For instance, if the starting lineup of a team is leaked ahead of a high-profile clash, one may be tempted to alter one’s own team to suit the style. Such an event may have occurred ahead of the highly anticipated clash between Paris Saint-Germain and Manchester United in the Champions League. The first leg plays out at Old Trafford, and PSG’s chances are severely hampered due to injuries to their front-men, Neymar and Edinson Cavani. Now, Yahoo Sports France has revealed the entire starting lineup of the Parisians. The claim puts PSG at a defensive 4-2-3-1 for the game, perhaps looking to match the formation Ole Gunnar Solskjaer’s Manchester United will field. Marquinhos and a freshly recovered Marco Verratti will make up the club’s defensive midfield, while Dani Alves will function in an unorthodox frontal role. 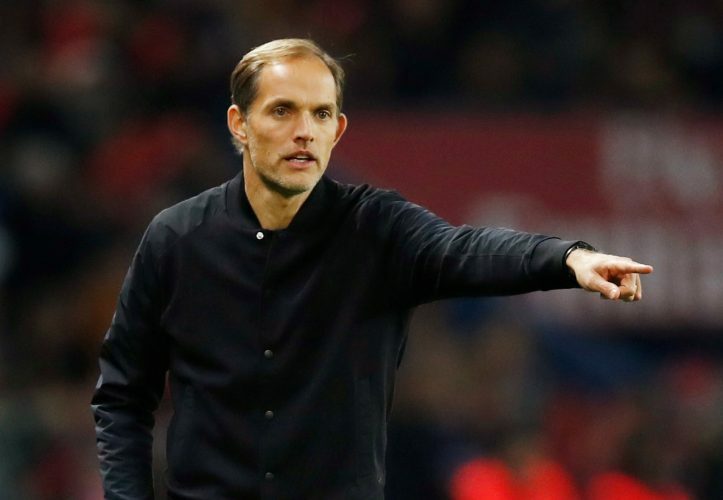 As for causing woes to United’s own defense, the report states that Thomas Tuchel will field former Red Devil Angel Di Maria and French wonderkid Kylian Mbappe as the offensive talents to cause the most trouble. While Di Maria will fulfill the duty from the wing, Mbappe may be deployed as a lone striker or perhaps even as a false nine.